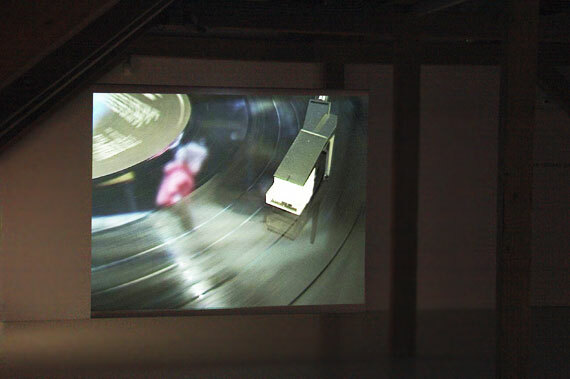 The video is zoomed into a part of a record player. You hear the song “if you go away” and see the reflection of a small child on the record. When the music starts playing the child starts jumping on the trampoline. After a while another child enters the scene. Together they jump and play joyfully. At the end of the song one child leaves the scene. The other child stops jumping, sits down and waits till the music starts again. There is a big contrast between the happy image of the two playing children and the melancholic song that deals with saying goodbye to a loved one.